In modern medicine, operations on the lumbar spine and lower back are performed quite frequently. Many of these operations focus on treatment for issues related to the intervertebral discs – such as protruding or herniated discs—and their significance is two-fold: in addition to the effort to restore a person’s health by treating their back condition, they are performed in order to relieve the severe and chronic pain from which the patients suffer – pain that does not subside even after trying a multitude of conservative treatments. Unfortunately, there are operations that do not succeed in reducing pain, and sometimes even worsen the pain. These types of situations require treatment, quite often with an additional operation. Prof. Shimon Rochkind, a neurosurgeon who specializes in the treatment of the peripheral nervous system and one of the senior physicians at the Center for Excellence at the Herzliya Medical Center, specializes in microsurgical operations for the treatment of failed surgeries in the lumbar spine. What is Failed Back Surgery in the Lumbar Spine? These operations are performed due to chronic pain that is not decreased or relieved even after taking all possible conservative approaches to treatment (massages, pain therapy, medications, and more). These operations, therefore, are performed in order to improve the patient’s quality of life through the release of the nerve roots from the adhesions that have formed and the removal of the remainder of the disc if necessary. Partial removal only of the fragments of the damaged disc following herniation. Each of these cases can cause pressure on the nerve roots in the region. This is because failed back surgery results in physiological changes in the area of the lower back that can cause tissue density, adhesions and the formation of pressure on the nerve roots – which is essentially the cause of the severe pain that appears after surgery. Quite often this kind of pain will radiate to the lower limbs and if the pressure on the nerve root continues for an extended period of time, it can cause irreversible neurological damage. Failed surgery can on occasion require an additional surgery – surgery focused on the area of the previous operation. Here though, the objective is to “repair” the failures of the previous operation or in an effort to complete the previous operation. Prof. Rochkind, who specializes in the microsurgical treatment of problems associated with the peripheral nerves, including issues related to nerve roots that come out of the spinal cord, has performed many such surgeries in the past for the treatment of failed surgery syndrome in the lumbar spine – successful operations that reduce back pain quickly and significantly. The operation is performed with the help of a microscope and advanced surgical tools that allow for the careful and precise release of the damaged nerve roots and the dural sac from the scar tissue that formed as a result of the failed surgical procedure. If necessary, the doctor can also remove remnants of the disc that were not removed entirely during the previous operation, which themselves can contribute to the pressure on the nerve root. Is back pain continuing to rule your life even after back surgery? 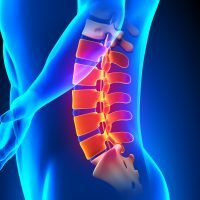 Does it seem like your back surgery only made the pain worse? Contact us today at the Neurosurgical Center for Excellence at the Herzliya Medical Center and make an appointment for precise and professional medical treatment for Failed Back Surgery in the Lumbar spine.